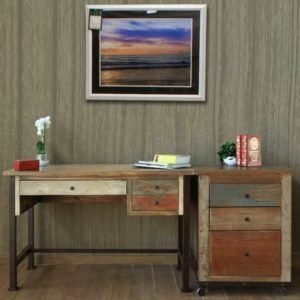 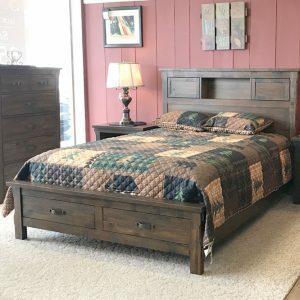 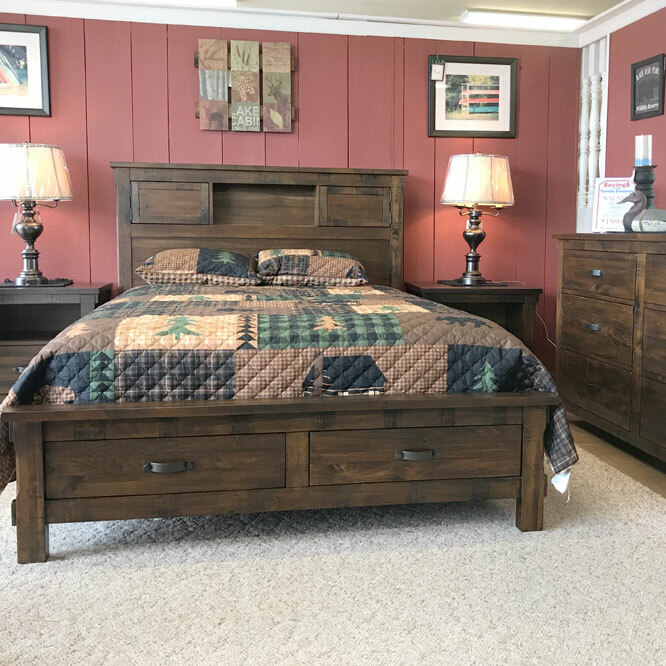 Rugged, good looking bedroom with features of sets twice the price. 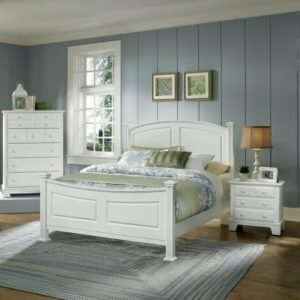 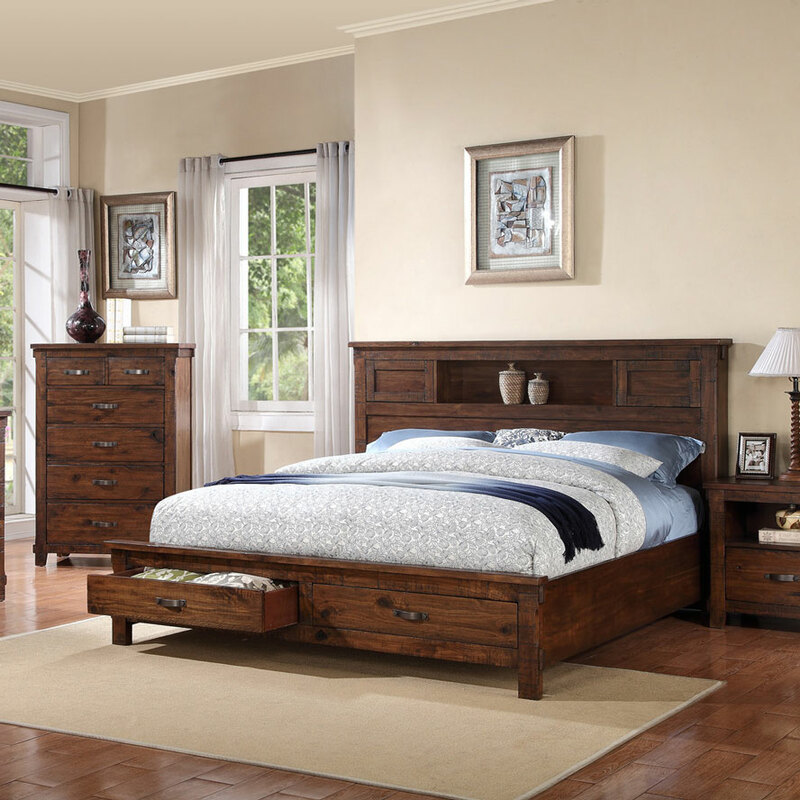 Generously sized pieces with storage headboards and 2 drawers in the footboard. Displayed at fireside. 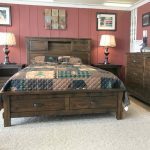 Come in and check it out. 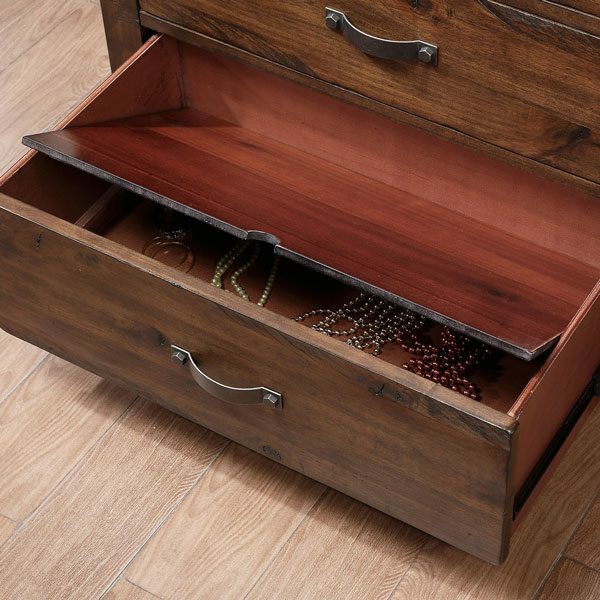 Ball bearing drawer guides for smooth action. 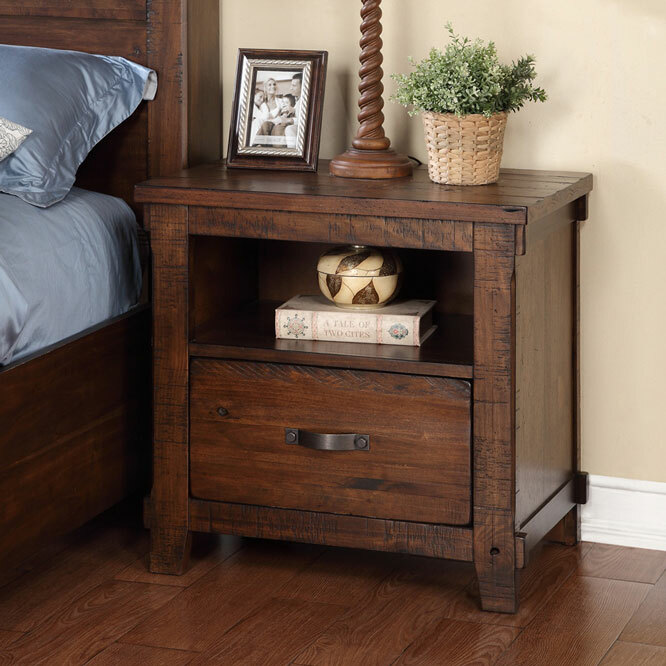 Heavy distressing of the rustic walnut finishing for a beautiful rustic look. 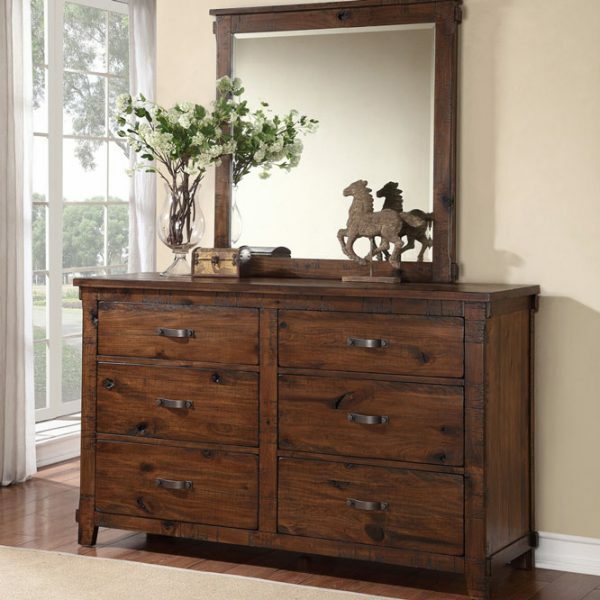 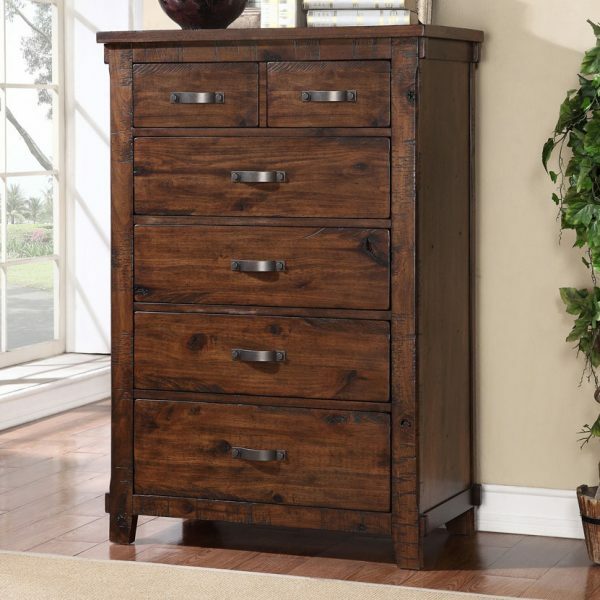 Generously sized pieces with storage headboards and 2 drawers in the storage footboard. Chest: 35-7/8″ x 18-1/2″ x 52″ – includes hidden drawer bottom for security (please don’t tell anyone).